In 2018 we seen Nike celebrate thirty years of the “Just Do It” slogan. For 2019, the Swoosh will be highlighting their “Have A Nike Day” slogan with an upcoming collection during the Air Max Day festivities. Part of the collection will include a few Nike Air Max 97 color options. 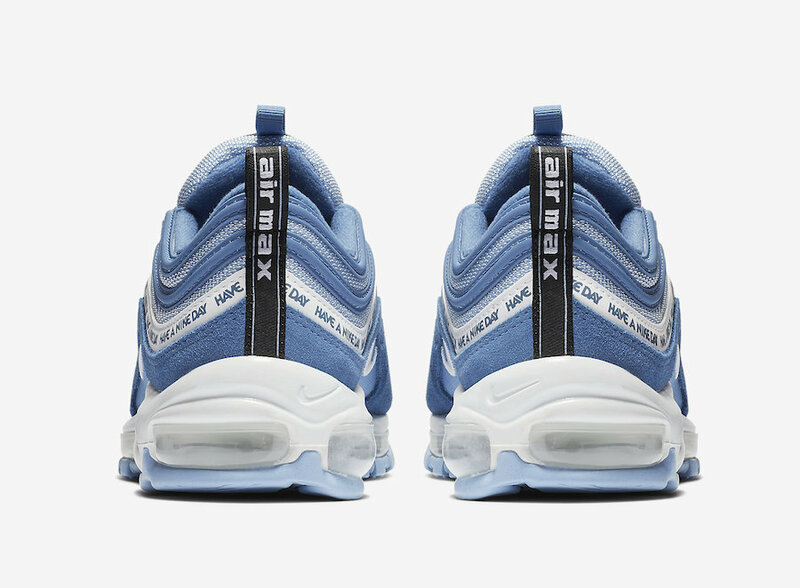 One of those is this iteration dressed in array of Blue tones with “Have A Nike Day” repeated on the racing stripe as well as the heel tab. A White midsole and atop a Light Blue rubber outsole completes the design. Look for the Nike Air Max 97 “Have A Nike Day” to release this March during Air Max Day celebration at select retailers and Nike.com.